Posted on December 24, 2016 Posted in Cakes	. 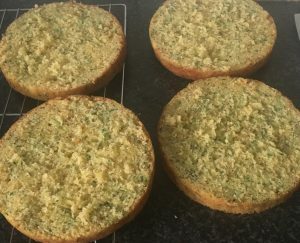 I wanted to make a cake based on zucchini, but instead of the obvious and usually paired chocolate flavor with zucchini in cakes I wanted to do something else. As zucchini is a bland flavor by itself I saw this as an opportunity to come up with a unique strong flavor combo that could also be a savory flavor combo as well as sweet. 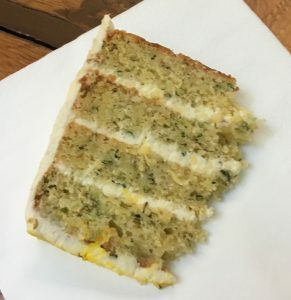 The chosen flavors for this cake are savory but have successfully been turned sweet…being lemon and thyme. With the addition of the sweet glaze lemon and the moreish sweet cream cheese icing this cake is transformed to a tasty satisfying treat that not too naughty. Pre-heat the oven to 180c degrees and line 2 x 25cm cake tins with baking paper. 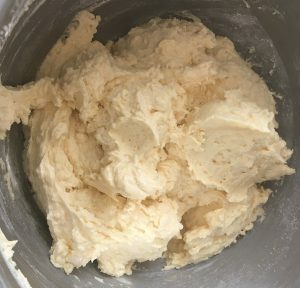 Beat the sugar, zest, thyme and butter with an electric whisk for 5 minutes or until light and fluffy. Add the eggs, one at a time beating in between each edition. Sift the flour and powder through a sieve into the bowl and fold until just combine. Add the zucchini and fold until just combine. Pour the mix into the 2 cake tins and place in the oven for 35 minutes or until a skewer inserted into the center comes out clean. Leave the cakes aside to cool. 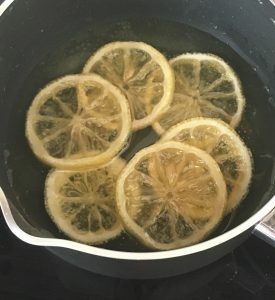 Meanwhile to make the lemon syrup place the lemon slices, sugar and water into a saucepan on a high heat and cook for 10-15 minutes or until the syrup starts to thicken. Place the lemon slices on baking paper and leave aside to cool. Cut the cakes horizontally in half. Using a pastry brush brush the cake tops with the syrup. 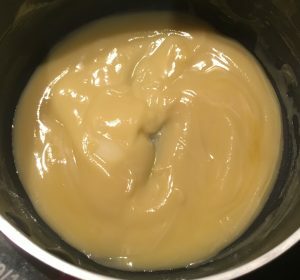 To make the icing, melt the butter in a bowl in the microwave until boiling. Add the white chocolate piece and stir until smooth. 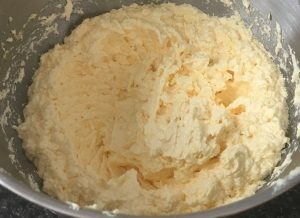 Add the cream cheese, yoghurt and essence into the butter mix and using electric beaters whisk until smooth and silky. Place in the fridge to set. 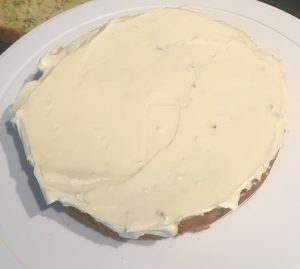 To put the cake together place one cake layer on a plate, top with ¼ icing. Repeat until the last layer is on the cake. With the remaining icing ice the tops and sides of the cake. 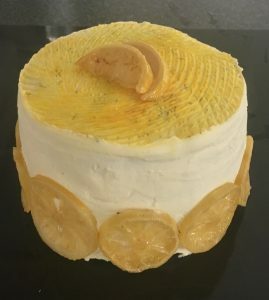 To decorate place the candied lemon piece on the cake and enjoy. 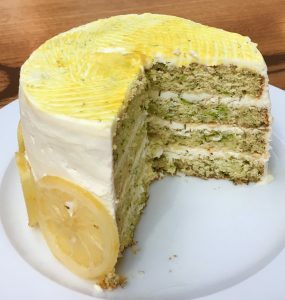 Tags: lemon, thyme, Thyme and Zucchini Layer Cake, zucchini	.